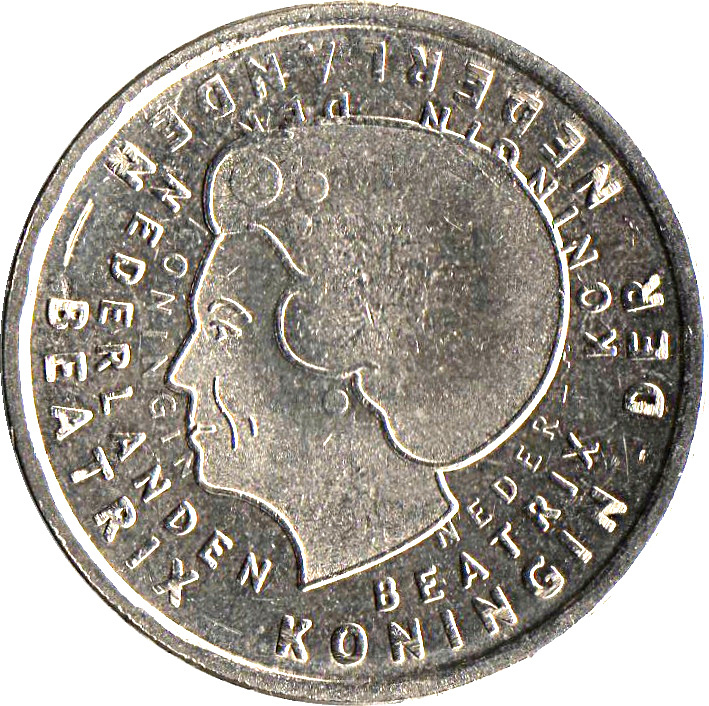 Portrait in left profile of Beatrix of the Netherlands. Child art design, value and date. The reverse was chosen during a design competition in which 55,000 children from the last two years of 3,000 primary schools participated. 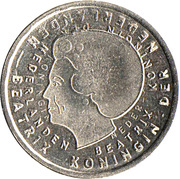 The number of coins minted, corresponds to the number of inhabitants of the Netherlands at that time. 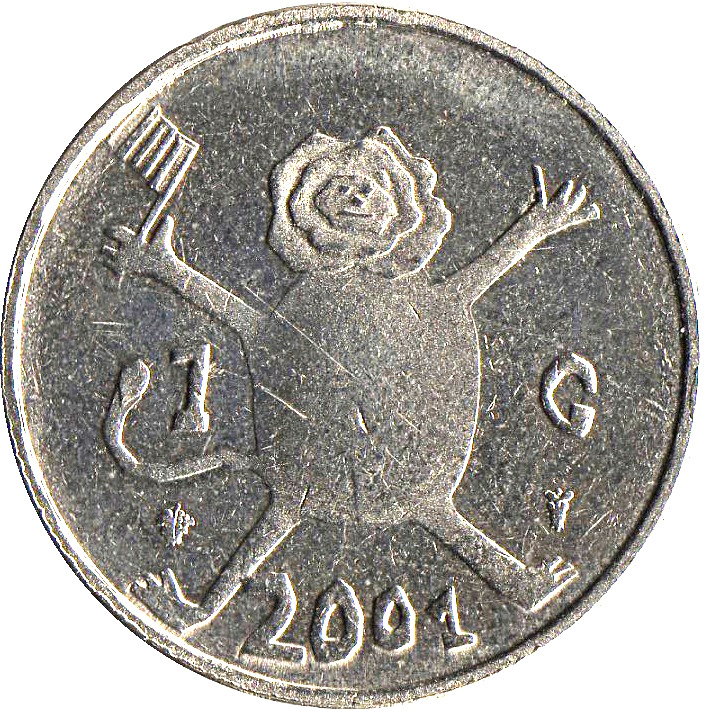 So a coin for every inhabitant.